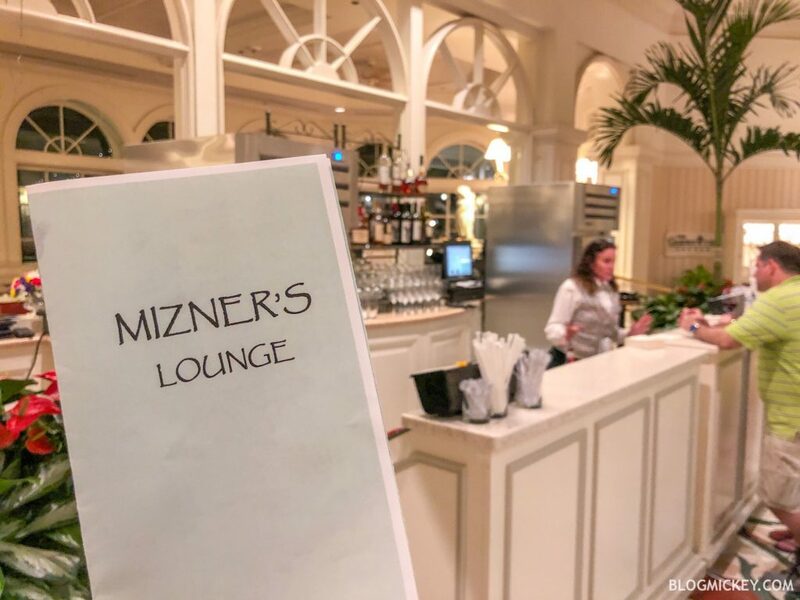 A new temporary location is now open for the recently shuttered Mizner’s Lounge. 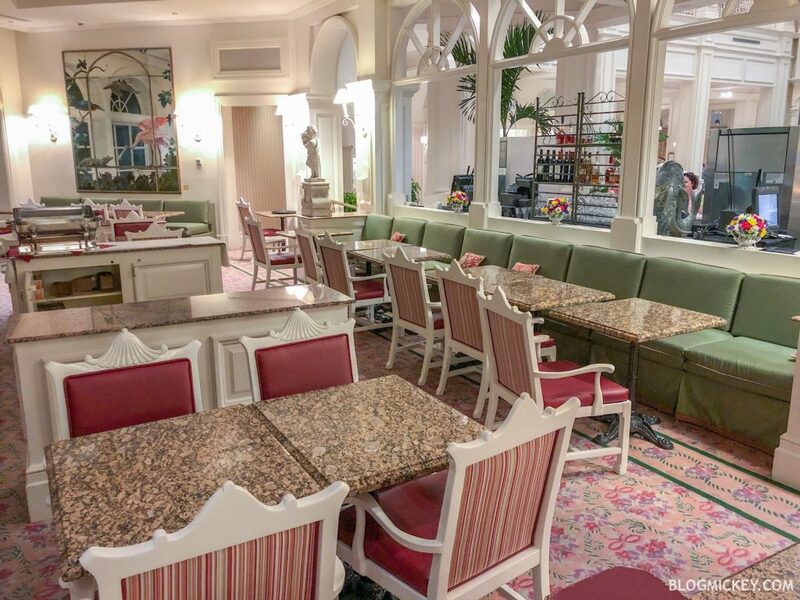 Mizner’s Lounge is rumored to become a Beauty and the Beast themed bar. 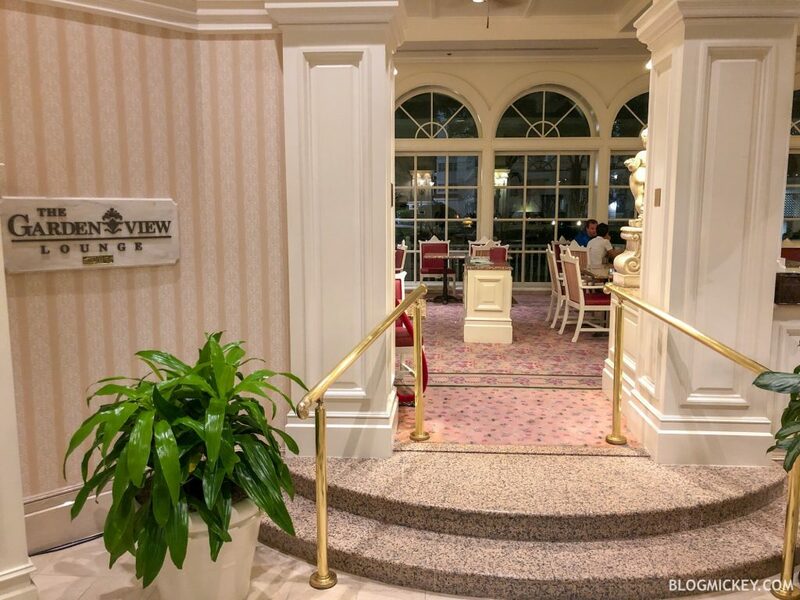 The location is located on the first floor lobby, in front of the Garden View Lounge. 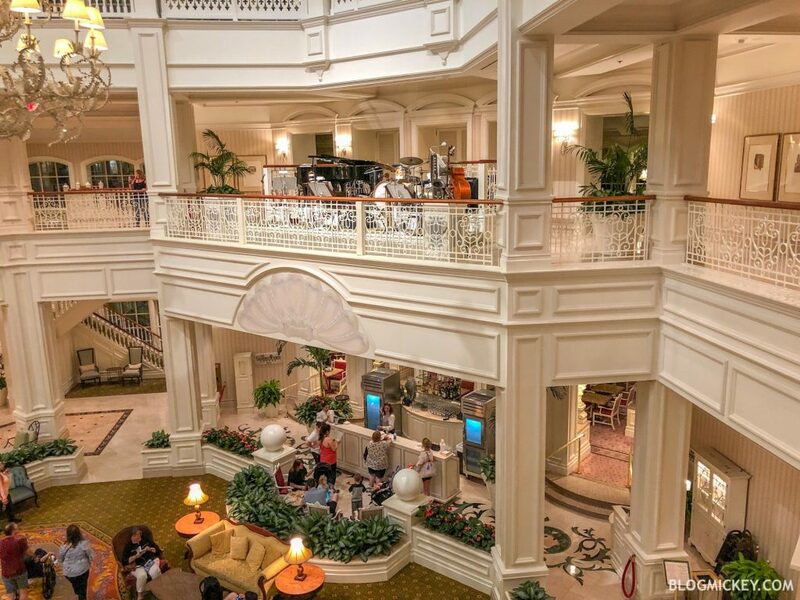 You can see the new location beneath the former Mizner’s Lounge and the Grand Floridian Orchestra. 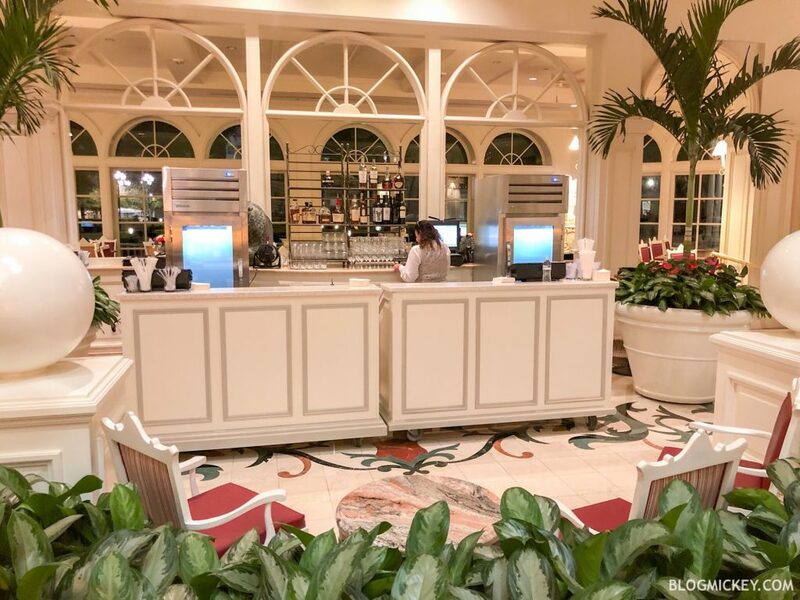 For seating, the Garden View Lounge is now open in the afternoons and evenings. 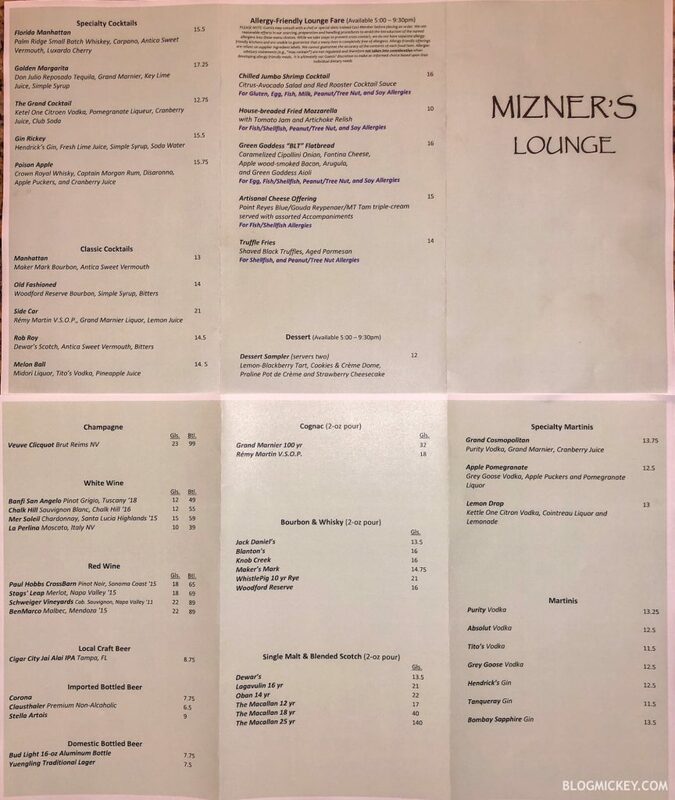 Here’s a look at the paper menu offered. 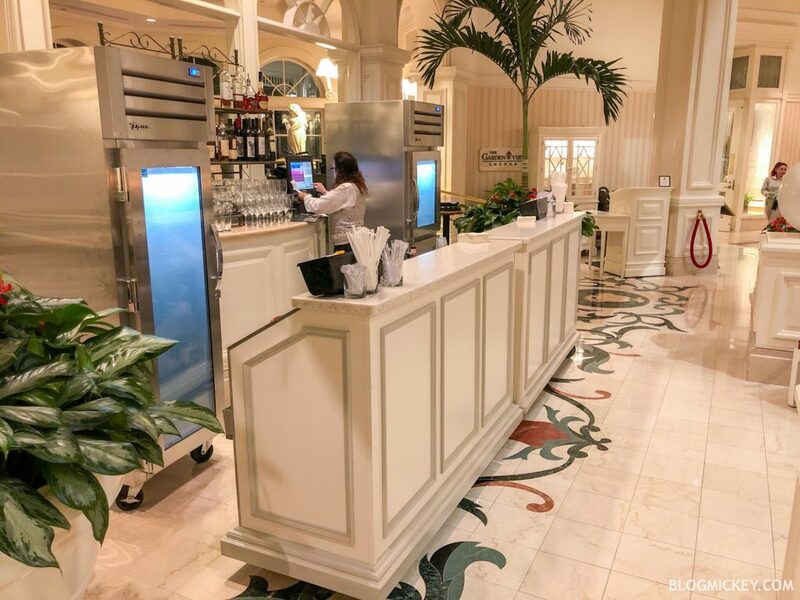 The menu combines some of the old Mizner’s Lounge offerings and some items from the nearby Grand Floridian Cafe and the Citricos Lounge.